I love travelling. But let’s face it, everywhere I go there is one thing that I usually miss more than anything else from Italy: a good pizza. 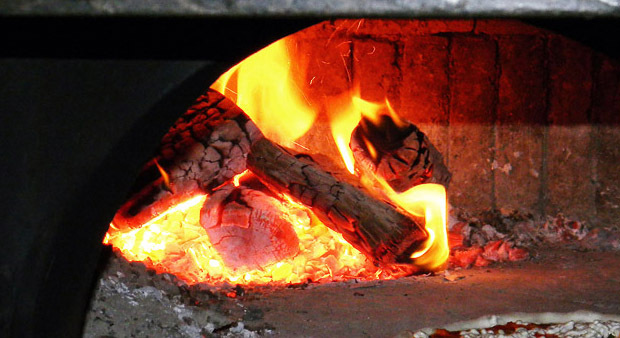 Usually I prefer cooking than going out for a meal, but when pizza is concerned, nothing compares to a nice pizza cooked in a real wood-fired oven. So, my quest this time is to find the perfect Italian Pizza in London. This shouldn’t be such a difficult task, with all the Italian restaurants popping up at every street corner. But pizza is something special, and Neapolitan pizza is something absolutely unique, and this search requires a more thorough approach. I cannot possibly try them all: it would be a nice experience, but it would take too much time. Therefore, I will rely on comments and reviews left by other Italians – better still from Naples – on various websites. My task is to list the winners, giving you the score they obtained and some information on their average prices, because here in London pizza is not always a cheap option. In central London there are many pizzerie, but often they belong to restaurant chains, and they are not always very good. Obviously it’s a matter of tastes too – some people like the American style pizza, for instance – , but I am trying to find a pizza which reflects the Neapolitan tradition. There are some good results, but beware of the prices! 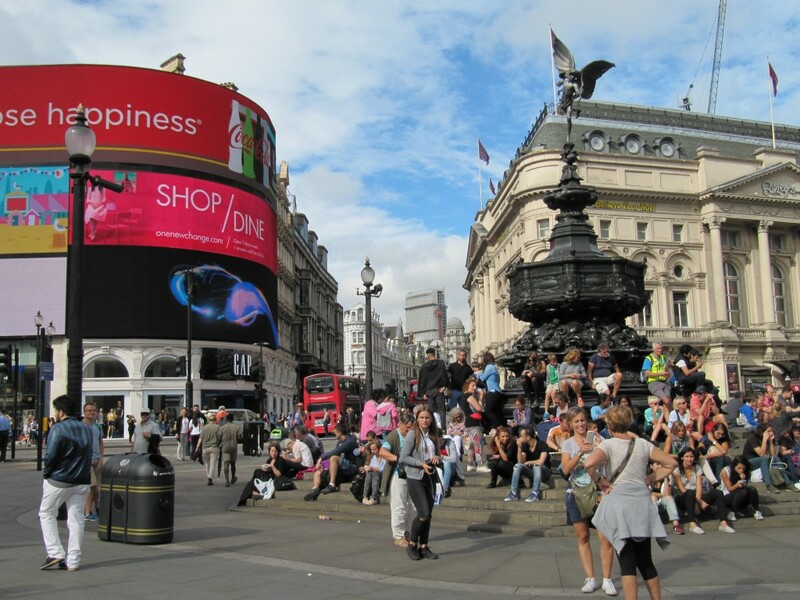 This is London, after all, and eating out is not really a cheap. Rossopomodoro is is one of those establishments getting very mixed comments. I talked about them in a previous post of mine – about cheap eating in central London – but as far as pizza is concerned there is really much debate. I’ve found various negative comments, but many were due to their prices, rather than quality. But as you all now, when you pay more you expect more, and you give a bad review if you don’t. On Tripadvisor the average score is 3.5/5, which is not really good. The prices are: margherita at £7,95, and others like capricciosa or vegetariana at nearly £12. Thanks, but that’s too much for me. For these prices you can try a real Italian restaurant, near Leicester Square tube station: Sartori. Very nice pizza and very good reviews (4/5), but their prices are high too: margherita at £7.95 and more elaborate pizzas often over £10. The choice could be good if you want to book a confortable place in a nice central and authentic italian restaurant, and if some of your friends want to try Italian food and not only pizza (read the full menu on their website). Another good Italian pizzeria is Princi. The average score is 4/5, but the negative reviews are more due to the rushed service, rather than the quality of their pizza, which is usually pretty high. But Princi is in Wardour Street, in the heart of Soho, and it can be very busy at times, especially for a rather small restaurant. But if you choose the right time, you can really enjoy a good pizza. 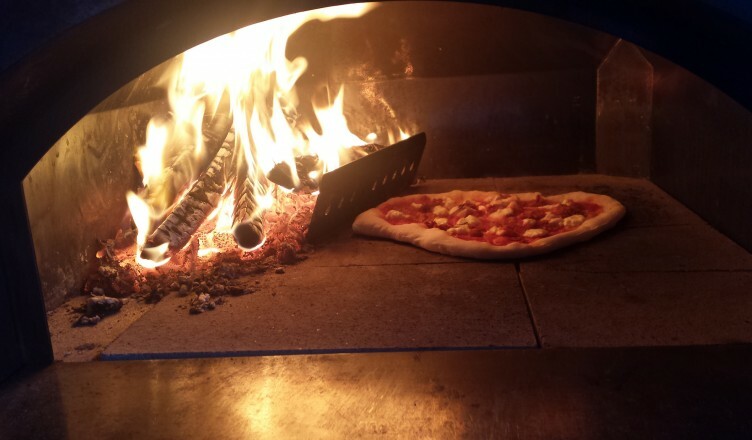 A bit expensive, though: margherita at £7.50, mediterranea at £10 and capricciosa at £11…The choice is yours. If you want to share a good pizza with 2 o 3 friends of yours, you can go to Homeslice, in Neal’s Yard. Pizza to share, because their size is a huge 20″! I mentioned them before in a the post about cheap eat in central London, but I could not avoid to mention them again here, since pizza is their specialty. 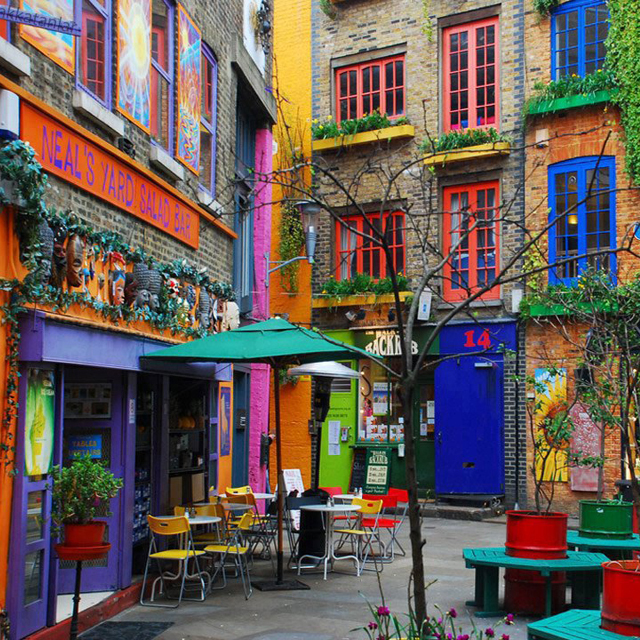 and Neal’s Yard is such a nice hidden gem, that we have to add it to the list. Also, the pizza has received very favourable comments (4.5/5) and they all cost £20, which is not bad at all when you share. If you want to try something new, you can head to Dean Street, where you can find Pizza Pilgrims. Their place is small, but it has a real Italian feel to it, and their story is quite nice to tell. The young owners really love pizza, and they’ve been learning the tricks around Italy before they started selling their pizzas from a small van – tuktuk style – at local markets in London. The reception was so good that they decided to open their first restaurant. Now they have three of them, two in Soho (Dean St. and Kingley St.) and one in the trendy Exmouth market, in Camberwell. They got pretty good reviews and an overall 4/5 mark. Their prices are good for such a central location (last update October 2018): marinara £6, margherita £6.95, and all the fancy ones between £8 and £10. Worth a try, but remember that their place is rather small and it can get crowded. Choose your time well! Obviously, this list is not enough to cover all the possibilities and central London is not the only area where you can enjoy a good pizza in London. 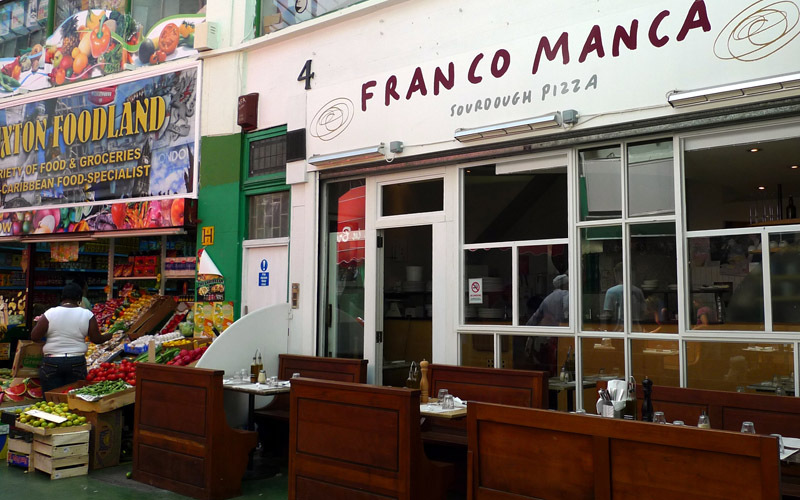 There are many Italian restaurants in Soho, but the best pizzerie are often in more remote locations, probably not very easy to reach for someone who’s in London on holiday, but ideal for the residents. 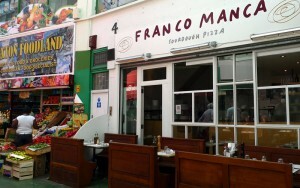 I have already mentioned Franco Manca, and their first pizzeria was opened in Brixton. This is still a very popular place for a good Italian pizza, and that means queing to get in. 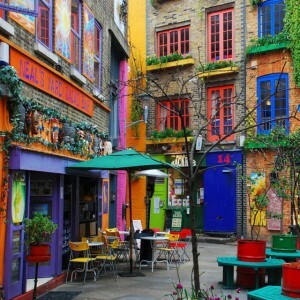 However, Brixton Village (map) is becoming a real gourmet paradise and it deserves a visit in any case. There are two other good pizzerie in South London which deserve a mention, being the favourite place of many Italians living on this side of the river. Bravi ragazzi, in Streatham (map), gets many good reviews (4.5/5) and no negative comment at all. Prices are also pretty good: margherita £6.50 and all the rest below £10. Not absolutely cheap even for this suburban area, but these are the prices for a good pizza, even in Streatham! Donna Margherita in Battersea (map) is probably easier to reach, being pretty close to Clapham Junction. Good score (4.5/5) and very positive reviews make it a nice alternative. Although the pizza margherita is rather expensive (£8.50), all the other costs more or less £9.50, which is not too bad. You can also book a table online from their website. North London – Is there a good pizza north of Kings Cross? North London is a broad definition, but in this case we talk about real North London, with postcodes starting with N4 or N8. Difficult to reach? Probably, but if you happen to be in this area (maybe after a visit at the Arsenal Football ground, for instance) you can head further north and find two of the best pizzas in London. Tomo Pizzeria gets an astonishing 5/5 on Tripadvisor, but it’s in Hornsey (map) – 20 minutes train ride fom Moorgate. If you really want to use the tube, take the piccadilly line to Turnpike Lane, then 5 minutes bus ride (144) will take you in front of the pizzeria. Margherita at £6.60 and Capricciosa at £8.90 are also quite good prices for such a delicious pizza. Pappagone is another North London institution (map). Located not too far from Finsbury Park tube station (piccadilly and victoria lines), this Italian pizzeria gets a good overall score (4.5/5) and the prices are excellent: margherita £6.95, vegetariana £8.15, capricciosa £8.40. You must try it. I tell you: it’s not easy to get here, unless some sport events at Twickenham (rugby) or Wembley (football) have attracted you in this W5 suburban area. But the pizza at Santa Maria is truly special. Not easy to find, you have to reach Ealing Broadway first, then it’s another bus ride (map)… and once you’re there, the place is so small that it might be hard to get in. The score is not super high (4/5) but I’m afraid location and dimension have something to do with it. Recently, they opened a new branch in Fulham (Waterford Road), which is much easier to reach from central London, but the prices have really gone up (last update October 2018): margherita £8.50 (it was only £6.95 in 2017) and all the other pizzas for £9.95. Will it drop out of our list? Not for now, but we’ll keep an eye on it! East London – Is there any good pizza east of the Tower? I await suggestions, because I haven’t found anything spectacular, incredibly good or authentic yet. But no need to despair: East London is a growing and trendy area and a good pizza will be surely available soon, unless you have something to suggest already. So don’t forget to leave comments and suggestions: they will complete this post and will make a welcome addition for those who are looking for the best pizza in London!